Come for the seminar stay for all New Haven has to offer! The weather is changing, the new year has started, let’s get together and learn something new. 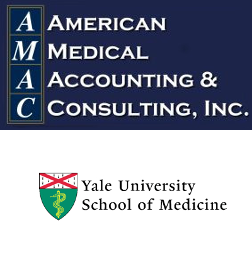 Spend 2 days with AMAC and your peers for a step by step course instruction on radiation oncology coding, reimbursement, documentation and compliance. Our interactive seminar covers a broad range of topics to meet the greatest needs of our attendees including: legislative & reimbursement updates, changes for CY19 and beyond, physics & dosimetry, treatment management & delivery, ICD-10 coding, general & modality specific billing including SRS, SBRT, Brachytherapy, IMRT & IGRT, best practice standards, payer issues and compliance. The goal of the seminar is to teach participants techniques of proper charge capture, recognition of proper documentation and a full understanding of coding for radiation oncology. Attendees will learn how to bring their billing departments into full compliance. Enjoy breathtaking views from many of the guest rooms. Omni New Haven Hotel at Yale is close to Union Station, home to Metro North and Amtrak Railway, and just fifty miles from Hartford's Bradley International Airport. New Haven Connecticut, is a historic town founded in 1638. The Elm City is the first planned city in America built on a grid system and is best explored on foot through a network of pedestrian-friendly streets. If you are a foodie, history buff, a patron of the arts you will want to stay for the rest of the weekend and enjoy all that New Haven has to offer. ZAGAT list 8 must visit places including the birthplace of the hamburger, Louis' Lunch. Are Art and History more you speed? Visit the Yale University Art Gallery for ancient to modern art, the Yale Peabody Museum of Natural History or the New Haven Museum. If boutiques, shopping or theaters are what you enjoy, visit The Shops at Yale. Registrations of 3 or more attendees: $100.00 Discount per attendees. Must use coupon code. ROCC® Members: $100.00 Discount available. Must use coupon code. Please call AMAC for Coupon Code (770-693-2622) Discounts may not be combined. If notice is received 60 days or more prior to seminar date, you may choose either a full refund or you may transfer to another 2019 Seminar. If notice is received 59 – 30 days prior to seminar date, we will charge a 10% administrative fee. You may choose to receive the balance either as a refund or as a credit for another 2019 Seminar. If notice is received 29 - 11 days prior to seminar date, we will charge a 25% administrative fee. You may choose to receive the balance either as a refund or as a credit for another 2019 Seminar. If notice is received 10 – 4 days prior to seminar date, we will charge a 50% administrative fee. You may choose to receive the balance either as a refund or as a credit for another 2019 Seminar.